In addition to our interior design service we also stock a wealth of accessories and trimmings. Our pieces are statement pieces intended to deliver that added wow factor through elegant design. 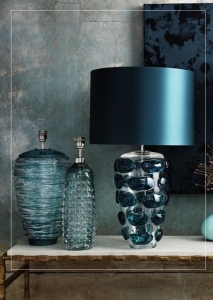 Visit our showroom for examples of innovative lighting, fabulous trimmings, gorgeous paint colours and designer wallpaper.